Why do you race? I race for the incredible experiences. Highs, lows – a microcosm of life in every race. How did you come to AR? I heard about the Raid Gauloises in 1994 and decided then to try this someday. How did you come to THT? I started TeamHalfwayThere.com in 2007. I was looking for people to race with and THT was born. Over the years, I focused on building a team with the people I admired, enjoyed racing against and liked training with. Now we are one of the most successful teams in the US (3rd in USARA for the 2012 season) and a prominent team at North Atlantic mountain biking, orienteering and trail running races. What do you like about THT? Why do you stay? The people make the team. From soccer moms to national caliber athletes, THT represents an entire spectrum of people that enjoy outdoor activities. We are also very active socially; from regular Tuesday night burgers and beers to other activities we balance the racing with having fun. Something you’ve learned through AR that you take with you beyond the race course? Patience, patience and patience. If you think it can’t get any worse, it will. But sooner or later it will get better. What does the future hold for you and AR? 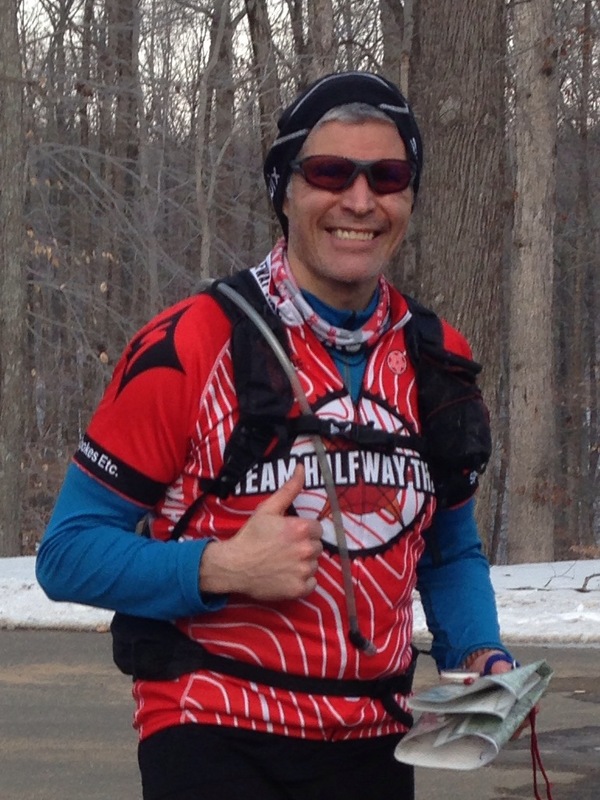 I look forward to racing and training with the THT and Odyssey teams in 2014.